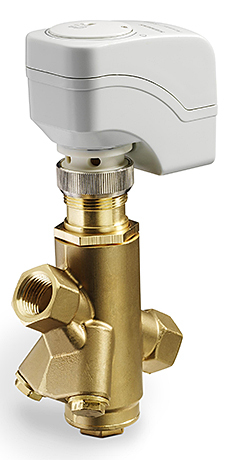 Pressure independent control valves (PICVs) integrate three functions into a single device: control valve, adjustable flow limiter, and automatic pressure regulator. Eight different valves cover a flow range from 0.3 gpm to 37 gpm with a differential pressure operating range from 2.3 psi to 58 psi. Feature ANSI Class 250 valve body.